Hey! I’m junior, majoring in neuroscience at CU Boulder with pre-med classes too. I’ve had a lot of experiences with volunteering from food banks to a few years at a hospital. I have also organized and lead a medical service trip my freshman year across the country. 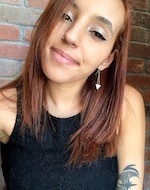 I am a VAW Team Leader at CU Boulder because I wish to help people, learn about medical care, travel and meet new like-minded individuals who may be my colleagues in the future. I am looking forward to working with VAW, CU students and students from across the country in serving those in need. 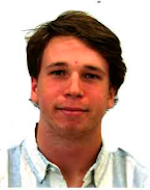 Greetings, my name is Adam Celikmen and I am a senior Kinesiology major at the University of Massachusetts Amherst. I have not made any concrete decisions about my future career or continuing education, but it will more than likely involve healthcare. My interest in Public Health is what attracted me to Volunteers Around the World. I plan on taking the experiences I have in healthcare now and applying them to wherever I go overseas. I am excited to start the first VAW Medical Outreach chapter at Amherst. Although the task seems daunting, I am ready for the challenge. 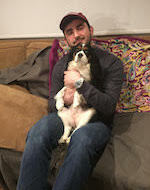 I love my dog Abby, that is all you really need to know about me. Alexander Gazo first knew he wanted to be a Doctor when he was 8 years old; and his quest to earn the title has endured. 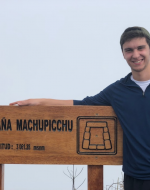 As an undergraduate student at Washington University in St. Louis, that perseverance has followed him not only into his studies, but also into his leadership as Team Leader for VAW. Filled with compassion and enthusiasm, Gazo hopes to share those sentiments with his peers at Wash U and around the country through VAW. 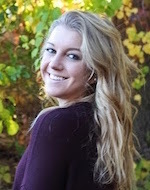 Hi, my name is Alexandra Sibert and I am currently a 2nd-year Biology major on the pre-med track at Boston College. As a former nursing student and population health minor, I am very interested in health of the whole person and how health envelops all aspects of an individual and community. I also have passions for mountain climbing, drawing and piano! I look forward to working with Volunteers Around the World and all of the incredible people it will allow me to connect with along the way. Hello everyone! 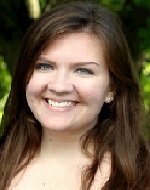 My name is Allie Wickham and I am a junior premedical student at the University of Delaware. I am an honors student pursuing a double major in Medical Diagnostics and Biology. I currently work in an ER and see plenty of people in need of critical medical care. I stumbled upon VAW as a perfect combination of traveling, volunteering, and providing medical care to some of the most poverty stricken communities of the world. I look forward to sharing this experience with my fellow Blue Hens at UD and beyond. Hi Everyone! 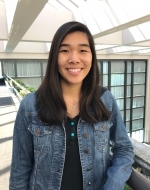 My name is Amanda Nguyen and I am a graduate student studying Biomedical Sciences at Roosevelt University. My goal is to become a Doctor without Boarders to help those in Third World Countries. My recent trip with VAW was an amazing experience and we helped so many people. It reminded me of why I am pursing a career in medicine and the change that I can make to help others. I wanted to become a Team Leader to spread VAW’s mission and travel with amazing and kind-hearted people who share the same values and goals as I do. I am truly grateful and excited for yet another incredible experience. 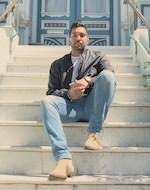 My name is Amit Grewal and I am a premed student at Sonoma State University in Rohnert Park, California. I’m currently a biology major who’s interested in the medical field. I enjoy spending time with my friends and family, working out, playing sports, and listening to music. 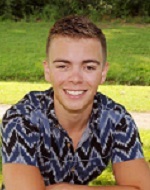 Hi, I’m Andrew – a junior at The University of Texas at Austin studying accounting and pre-med. It is my goal to enable as many people as I can to experience the joy a healthy life can bring through providing them with medical care. 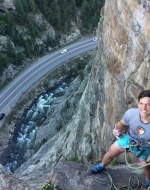 My passion for living a life of adventure through rock climbing, hiking, and camping has led me in developing a new appreciation for health. I’m excited to be beginning my journey as a VAW team leader. 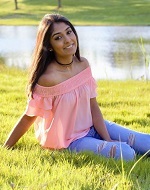 Hi, my name is Anisha Bhargava and I’m a freshman at Case Western Reserve University studying both Sociology and Neuroscience on the pre-med track. 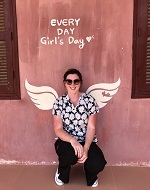 As an advocate for basic human rights, especially health care, VAW allows me to fulfill my passion for medicine and justice by giving me the opportunity to lead trips to different regions of the world to provide basic necessities. Like every other medical chapter leader, my goal for the future is to be a doctor, but I want to be the type of doctor that continues fighting for these rights so that everyone, no matter their race, class, gender, etc., is able to live healthily. Hi! 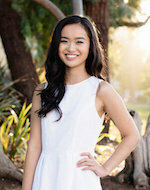 My name is Anna Chung and I am a freshman at the University of Redlands. I’m majoring in biology with the hopes of pursuing a career in dentistry and public health in the future. I look forward to making a lasting and meaningful impact in assisting VAW with its mission of improving global health. 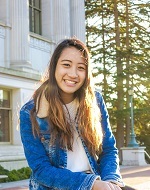 Hi my name is Anne Zeng and I’m going into my third year at UC Berkeley where I study bioengineering with a focus on biomechanics. After graduation, I plan on taking a year or two off to work and/or travel before going to medical school. I have been with the UC Berkeley chapter of VAW since my second semester freshman year, and it has been an incredible experience working with like-minded people to bring medical services to areas that have a difficult time obtaining these resources otherwise. Plus, I love visiting places all around the world and VAW allows me to travel with a purpose, rather than just being a tourist. I look forward to another great year being a part of VAW! Hi! 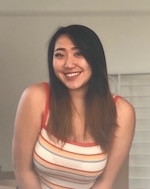 My name is April and I am a fourth year at UC Irvine with a Biology major and a Psychology and Social Behavior minor. I went to Panama with VAW on the summer of 2016 and had a blast. From the trip, I wanted to be more involved with the club and encourage others to volunteer in different countries! Hi! My name is Ashley Dunton. I am a senior at Villanova University majoring in Comprehensive Science and pursuing minors in Psychology and Global Health. After I graduate, I hope to attend medical school and further explore my interest in international health. This past summer (2017), I served as the Team Leader in my chapter’s Medical Outreach Trip to Siem Reap, Cambodia, and plan to again serve as Team Leader on our upcoming trip to Panama, which will be my third trip providing medical assistance to underprivileged communities. As President of Villanova’s chapter of VAW, I enjoy promoting VAW’s mission and supporting the endeavors of a humanitarian organization. I’m continually grateful for this opportunity! Hi everyone! 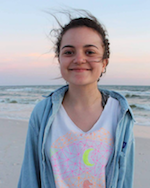 My name is Averie Lico, and I am a second year at Georgia Tech. I am currently studying Biology with a minor in Global Development as well as a minor in Spanish. I was lucky enough to be the Health Promotions Chair for Georgia Tech’s most recent trip to Albania. I loved collaborating with other members to think of creative ways to teach children about health. Additionally, global health is one of my biggest passions, and I plan on pursuing a Masters in Global Health after I graduate. I am beyond excited to continue growing with VAW as Georgia Tech’s newest Team Lead! Hi, my name is Bailey Luber and I am a freshman at Pepperdine University. I am majoring in Hispanic Studies on the Pre-Med track. I am looking forward to establishing a VAW chapter at Pepperdine this year, as I am most passionate about helping others and learning to practice medicine, along with inspiring my peers to do the same! Hi! 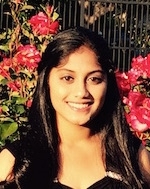 My name is Bhavyata Vaddavalli and I’m a freshman at Santa Clara University. I’m majoring in biology and I’m on the pre-med track aspiring to become a surgeon. I’m super thrilled to establish VAW at Santa Clara this year. I’m passionate about volunteering and I can’t wait to help people across the world through VAW. Along with my major, I will complete a minor in Chemistry. My goal for the future is to attend medical school, and eventually pursue a career as a surgeon. Hi everyone! 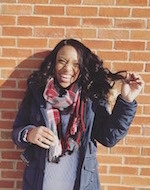 My name is Brielle Davidson and I am a 4th year student at THE Ohio State University studying Biology with a minor in Developmental Psychology. When I discovered my passion for meaningful volunteering, I was directed to VAW my sophomore year where I traveled to Peru. After contributing to a cause dedicated to serving under-served populations, my dream of becoming a Pediatrician was solidified. I hope to be a part of a changing medical field where we can focus on equal access to healthcare. I have enjoyed my time helping to be a small change for under-served populations and I look forward to helping VAW at OSU have a successful 4th year this year #GoBucks! Hi, my name is Brittany Davidson! 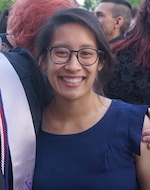 I’m an MCD Biology major at UC Santa Cruz and I plan on pursuing an MD/MPH dual program after I graduate to get involved in international healthcare. I am passionate about helping better the lives of others, especially those who need it most. I want to make the world a better place and I think that starts with helping those most in need. VAW has really helped me realize what I want to do with my life and my future career, and I look forward to helping VAW grow at my school in the next couple years! My name is Brooke Diamond and I am from Sandy, UT. I am a Sophomore at Seattle University where I am majoring in Diagnostic Ultrasound and double minoring in Biology and Chemistry along with being premed. In my free time I love playing with my new puppy Abby and photographing life. I hope to attend medical school as soon as I get my undergrad degree. I have worked with VAW since spring of my Freshman year and have loved it! Hello! My name is Cassidy Lee, I am a sophomore at Southern Oregon University working on a degree in Biology with a minor in Chemistry/Math. I am a CNA here in Oregon and I am planning on taking the route to Medical School in the next few years to come. My main goal since I was very young is to make a difference in as many people’s lives with the time I am given on this Earth. I believe that the medical field and the major impacts we leave on peoples lives are experiences that everyone should have the privledge to see and be a part of. I have participated on two mission trips so far and plan to go to Cambodia for another in December. Besides medicine and school I love rock climbing and compete in some small local competitions, I am also a real reptile lover and seem to have a snake in my hand at least once a week. This is me and all the things I am so passionate about! I cannot wait to be a part of VAW where I get to share these things about me, but most importantly about medicine with others. Hey! 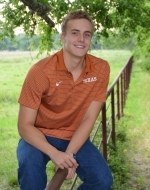 I’m Chad Lisbeth, a sophomore at the University of Texas at Austin, where I am pursuing a degree in Economics; hoping to one day attend medical school! I have a passion for medicine, the outdoors, and traveling. I am very excited to be a leader of the VAW chapter here at UT, and i’m looking forward to the adventure that comes along with leading this group! 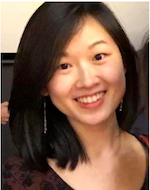 Charlotte Cheng began working with VAW as an undergraduate student at Loyola Marymount University in 2017. 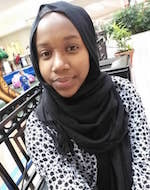 She is a Political Science major but has a passion for medicine and plans to pursue pre-med. Her interest in medicine and public health have inspired her to integrate natural sciences with policy in hopes of bridging the two fields. Hello! My name is Chelsea Johnson and I’m a student at the University of Central Florida. My major is in Psychology with pre-medical studies and I’m now in my senior year. After graduation, I plan on completing my Master’s degree in Medical Sciences then onto medical school to become a surgeon! 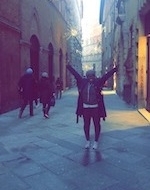 I joined VAW because I enjoy traveling and helping others who are less fortunate. I not only want to just see the world, but to also make a difference in it. There’s something about a smile from helping someone that gives my heart purpose, and with VAW, there are ample opportunities to do so! 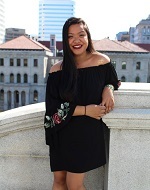 “Two roads diverged in a wood and I – I took the one less traveled by and that has made all the difference.” My name is Cho Ki Tam and I will be representing the VAW CSU East Bay chapter as one of its team leaders. 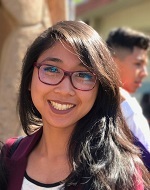 I have recently completed my post-bacc studies at CSU East Bay Pre-professional Health Academic Program and will be attending medical school in 2019. 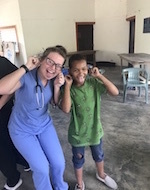 My passion for global health was stemmed from my love in cultural immersion and dedication in serving the people in dire straits – all began from a book about the Doctors Without Borders that I read when I was 15 years old. As someone who has traveled in multiple continents, I have experienced diverse healthcare systems firsthand as a patient, and secondhand as I visited local hospitals and clinics during my travels. I soaked up the pros and cons of each system to help me reflect on the current medical system in the U.S. I am excited about working with VAW in the next couple of months and the passionate individuals I will meet along the way! 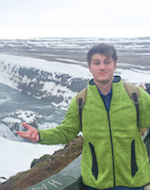 Hello, my name is Chris Varlamos and I am a junior at the University of Michigan majoring in Psychology. I hope to attend Physician Assistant school after I graduate and eventually work in sports medicine and orthopedics. In my free time, I enjoy playing basketball, golfing, reading, and traveling all around the world. I am really excited to be working with Volunteers Around the World and to be starting a chapter at the University of Michigan! I’m very passionate about volunteering and helping in the medical field so working with VAW is a perfect opportunity. 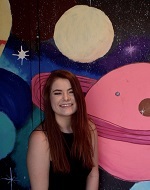 Hi my name is Ciara and I am the team leader for the VAW chapter at the University of South Florida. I am a senior pursuing a degree in chemistry and hope to one day go to medical school and become a surgeon. I have been involved with VAW for a little over a year and so far it has been one of the most rewarding experiences of my college career. I love being able to travel with fellow students abroad to help others who need it most. Traveling is one of my favorite hobbies and I am proud to say that I have been to almost 20 different countries! Outside of VAW activities and traveling, I love to explore local coffee shops in my home city of Tampa and enjoying being outside whenever possible. 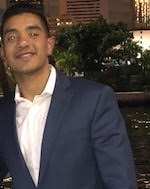 Hello everyone, my name is Danich (Sonny) Qadir I am currently a Junior at the University of Miami. I am a pre-med student majoring in Exercise Physiology with minors in Chemistry and Spanish. I hope to pursue a career as an orthopedic surgeon working with athletes and emphasize the importance of preventative medicine. I have been secretary of our chapter since I was a freshman here at UM when we first charter our chapter. I had the privilege to travel on our first trip to the Dominican Republic working hands on with the most selfless doctors I have ever met. VAW has brought me some of my best friends to this day and I could not be happier with my experiences as apart of such a unique and helpful organization. Now as the team leader, I have never been more passionate to continue our success here at the University of Miami and help change the world in ways unimaginable. Something new we have here at Miami is incorporating a new motto, “We can never settle, there is always and will always be room for improvement.” I am excited to continue the legacy of VAW here in Miami and cannot wait to see what the future has in store. Hi Everyone! 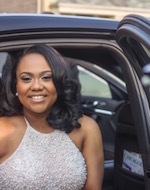 I am Danielle Kuper, a senior at Mississippi State University, where I am pursuing dual majors in Biochemistry-pre medicine and Microbiology. I am currently applying to medical school with the goal of entering the class of 2019. I aspire to become either a colorectal, neuro or cardiothoracic surgeon. I have been a nurse for several years specializing in post-operative surgeries as well as patient rehabilitation, therefore, I am no stranger to service. I initiated this chapter at my university because I feel it is very important to be involved with outreach programs. 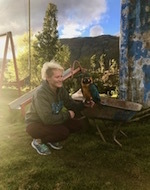 We traveled to Peru this past May, where we not only helped communities in need, but I picked up a wild macaw! Building this chapter and working with my team has been an incredible experience. My hope is to start a trend utilizing individuals with varied backgrounds to donate their time and energy to communities in need. We all come from different walks of life and so each one of us can contribute another perspective to make change for the better. Hello, my name is Dariga Sultanova. I am currently a senior at California State University, Sacramento, finishing up the Traditional Bachelor’s of Science in Nursing program. Afterwards, I plan on pursuing medical school to become a trauma surgeon. Since my freshman year in high school, I have been involved with several organization aiming to help those in need. I had the privilege of volunteering in several countries such as Panama, Peru, Mozambique, and others. 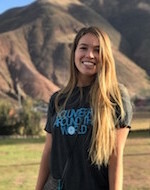 This summer, I returned to Peru with Volunteers Around the World and assisted as a co-team leader. Through all of my life experiences, I learned that there is ALWAYS a need, but, it takes certain minds and hearts to see that need and produce an action. I look forward to working with you to cause a positive difference in the world one person at a time. Hello! 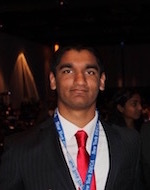 My name is Dev Patel and I am a sophomore at the University of Texas at Dallas. I am double majoring in Biology and Healthcare Studies with the goal of going to medical school. I am very excited to be part of UT Dallas’ first medical team! We are currently planning our first trip for the summer of 2016, and I couldn’t be more excited. I look forward to the opportunity to make a difference and learn more about medicine along the way! Hi! My name is Diana Morse. I am a senior at Michigan State University and majoring in Physiology and minoring in Women and Gender Studies. I plan on attending medical school after I graduate and then eventually go into primary care. I traveled with VAW to Guatemala during my spring break in 2017. 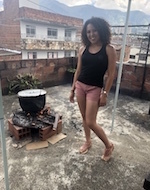 I fell in love with learning more about the culture of a developing nation and helping the local residents to receive health care that it made me want to take on a larger leadership role. During my time as a team leader, I hope to further promote VAW on MSU’s campus and to get more students involved. I want to show others how awesome of an organization VAW is and show them a different side to medicine. Elaine M. Lloyd is an Adult Board Certified Clinical Nurse Specialist (ACNS-BC). She is currently enrolled in a Doctorate program to obtain her PhD in Educational Studies with a Concentration in Nursing Education. She began her career in health care as a Medical Assistant in an inner city Detroit Obstetrician Clinic. 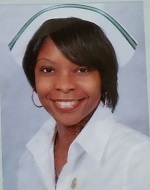 She fell in love with helping people and went on to obtain her Associate Degree in Nursing in 1998 from Wayne County Community College. 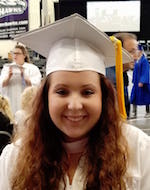 After graduation she worked for five (5) years in the intensive care unit (ICU) and then transferred to the Cardiac Catheterization (CC) Lab/ Electrophysiology (EP) Lab/ Interventional Radiology (IR) and vascular lab (VL) for ten (10) years at Sinai Grace Hospital. Elaine has over five (5) years experience teaching nursing students and is currently a full time instructor at Schoolcraft College and adjunct instructor at Michigan State University. 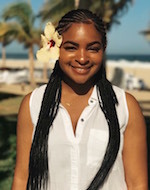 Elaine also developed a tutor/mentor program at Eastern Michigan University and was instrumental in assisting a student in increasing her test grade from a 60% to a 90% in her Medical Surgical course. In addition to her extensive clinical and teaching experience, Elaine also provides Sexually Transmitted Infection (STI) education to teenagers. 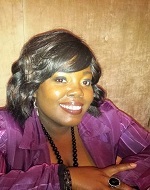 She has presented multiple times to students in the Detroit Public School system and at local churches. Hello all! My name is Elias Brown, and I’m a current Sophomore at the University of Tennessee Knoxville, where I’m pursuing a triple major in Mathematics, Physics, Business, and a minor in French. Having a history of neurological genetic disorders in my family has inspired me to pursue medicine, as I’ve seen the monumental impact that physicians and other healthcare professionals can have on individuals and their families. I dream of attending either Harvard or Stanford med after my time here at UTK, to pursue global health studies and practices. In my free time, you’ll find me swimming, studying languages, or watching abstract math videos as us nerds do. I’ve been a competitive swimmer most of my life, and have recently taken up powerlifting. I’m fluent in French and conversational in Japanese and Mandarin. I’m absolutely ecstatic to join the VAW family this year, and look forward to bringing a delegation of my friends and colleagues to Vietnam!!!! Hi! 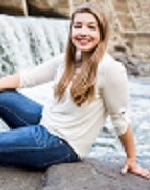 My name is Elise Glaser and I am a sophomore at Colorado College. I am currently pursuing a neuroscience major on a pre-health track and hope to continue on to medical school. I have traveled on a variety of volunteer trips in the past and would love to focus in on providing medical care abroad. I am super thrilled to introduce VAW to my campus and cannot wait to share this experience with others! Hello! 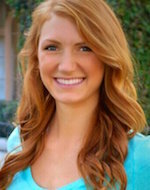 My name is Elly Lilagan and I’m the team leader for the UC Irvine chapter of VAW. I am a pre-med third year student majoring in Biochemistry and Molecular Biology. I hope to pursue medicine after graduation. Hello! 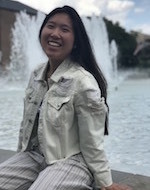 My name is Emily Xu, and I am a sophomore at Johns Hopkins University. I am majoring in Molecular and Cellular Biology and minoring in Philosophy on the pre-med track. I aspire to be a cardiothoracic surgeon. Outside of VAW, I enjoy debating on the American Parliamentary Debate Association league and getting involved on campus through my sorority, Kappa Alpha Theta. My love for volunteering has led me to join Alpha Phi Omega, a co-ed service fraternity. I am extremely excited to establish the Baltimore VAW chapter, because it combines all of my favorite things into one cohesive, rewarding, and educational experience. Hi! My name is Emma Seccombe and I am a freshman at the University of Kentucky. I am a biology major with a Spanish minor, and I am on the pre-med track. I plan on going to medical school to become an emergency medicine physician. I have a passion for making the world a better place, and that is why I am looking forward to getting out there and making a difference with VAW. I am so excited to be starting a chapter here at the University of Kentucky and I cannot wait to see the amazing things that we are going to do! Hi! 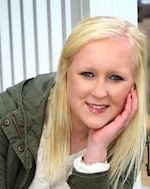 My name is Erin Martin and I am a junior at Virginia Tech majoring in Microbiology. I am working towards going to Physician Assistant Graduate School with the goal to eventually work as a Sports Medicine PA or an Orthopedic PA. I am so very excited to have the privilege to work with VAW and being able to make a difference in the world. 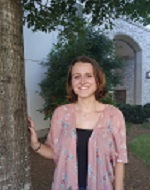 Hi, I am Eva Amram and the founding Team Leader at Emory University! I am a Human Health major and plan to enter the medical field. I’m excited to be helping people, exploring new places, and putting together an awesome team of volunteers! I can’t wait to see the positive change we will bring. Hello everyone! 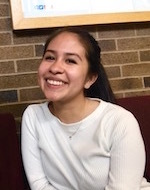 My name is Fabiola Horta and I am a Health Science major with a concentration in Nursing at DePaul University. As an incoming freshman I have joined Volunteers Around the World and I am excited to embark on a new journey as a Team Leader! I hope to learn a lot from this amazing opportunity and make an impact at my school but also at the country that we will travel to later in the year. I’ve always wanted to be a part of change and being able to help out those that do not have the resources will definitely be the experience of a lifetime. Hello, my names Faith! I am a Sophomore at the University of Nebraska-Omaha. I am an Emergency Management major with a minor in Spanish, a concentration in Public Health and a concentration in Fire Service Management. I am currently a CNA at Creighton University Medical Center and working on becoming an EMT this fall. I had the wonderful opportunity to travel to the Dominican Republic this past summer (2018) with VAW. Volunteers Around the World was able to incorporate my passion for serving others, as well as my passion for traveling. This fall I am starting a new VAW chapter at the University of Nebraska-Omaha. I am very excited for the future with this amazing organization and can’t wait to see all the lives we are able to impact. My name is Francesca Salas. I am a sophomore and pre-nursing major. My first Medical Outreach Trip with VAW was last summer in Vietnam. 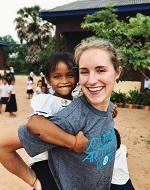 I completely fell in love with the org- it combined my two favorite things; volunteering and traveling. Now, I am Virginia Commonwealth University’s chapter In-Country Team Leader. 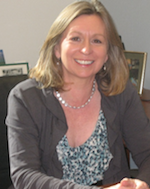 Gina Piane is an internationally recognized expert in the field of public health. Her 32 year career in public health began with the Cook County Department of Public Health near Chicago, Illinois, where she emerged as a leader in community and patient education. Her academic career includes tenured-faculty positions with Northern Illinois University and California State University, Long Beach. Dr. Piane came to National University in March 2009 to lead the development of the Master of Public Health program which enrolled its first students in March 2010. She was hired as the Chair of the Department of Community Health. Dr. Piane’s research throughout the years has focused on health behavior in minority and international communities. 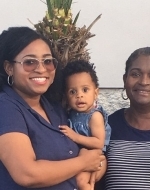 She has developed programs that helped African-American elderly patients to control their blood pressure and to help pregnant women with diabetes through a safe pregnancy. Her public health research has included investigations of drinking and smoking among college students and best practices in public health education. Currently she is investigating Evidence-Based Public Health seeking to find community-level interventions that will prevent many of the half million deaths of women in childbirth throughout the world. Dr. Piane received a Fulbright Scholar grant to teach and conduct research in Nigeria in 2016. Gina Piane has been often recognized for her teaching excellence. She has been lauded for incorporating active and experiential learning into her classrooms and for mentoring students to improve their writing. 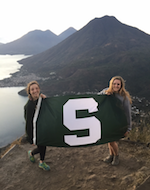 Dr. Piane has led student groups on educational tours of the health systems of India, Kenya, Tanzania, Thailand, Chile, Brazil, Ecuador, Cambodia and Cuba. Hi! 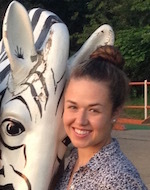 My name is Grace Carey, and I’m a Public Health student at Kent State University concentrating in Global Health. After my undergraduate studies, I am going to be continuing my education here at KSU, working towards my Master of Public Health. I am so excited to establish KSU’s first VAW chapter, and I am looking forward to representing KSU and VAW overseas! 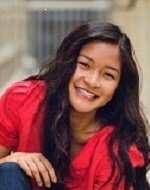 Hi there, my name is Grace Van Gysel and I am a sophomore at the University of Wisconsin- Madison. I am on the nursing major pathway and I apply to the nursing school this spring (2018). I enjoy volunteering and helping the community for the better good. I look forward to being a part of the VAW team and leading a group to help others across the world. Hi everyone! 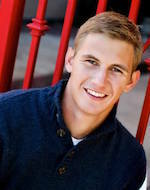 My name is Grant Hagglund and I am a 4th year student at The Ohio State University majoring in Biology. I am going to be the Co-Team Leader this year for The Ohio State University Medical Chapter of VAW this year. I went to Peru two years ago as our Trip Leader and last year served in a behind-the-scenes role for our local chapter. It was an unforgettable experience that I will not forget. I currently serve as a Resident Advisor, Undergraduate Anatomy TA, and work at a local children’s hospital here in Columbus, not far from campus. I joined VAW to gain experience in medical clinics and medicine in general, and the organization has given back more than I could ever imagine. The impact that it has left on me is something that I intend to carry with me as I progress through medical school and into my future career as a surgeon. VAW has meant a lot to me and I look forward to diving more into the organization and promoting it on our campus and around the world. Hello All, My name is Habiba Menko. I am currently a Senior at Siena College majoring in Sociology with a minor in Health Studies. Upon hearing what VAW does, I instantly wanted to be a part of this wonderful organization. I have always had a passion to help people from different parts of the world. I believe that my involvement in this organization will help not only me but thousands of others. I plan to go to PA school after I graduate from Siena. I love to learn new things, travel and help people. VAW gives such an opportunity to learn all these. Hi! My name is Hadley Leatherman and I am a Senior at the University of Southern California. I am a pre-med student majoring in Psychology. I hope to become an orthopedic surgeon and I plan to continue my education next year at either Harvard, Johns Hopkins, or Columbia. 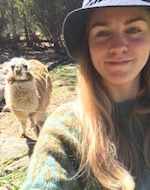 I travelled to Cusco, Peru through VAW last winter break and encountered the most practical and hands-on medical experience I’ve ever had as an undergraduate student. I also thoroughly enjoyed exploring the country and meeting other like-minded students. I am a strong advocate of pre-med students gaining exposure to medicine abroad and am very excited to recruit an energetic, curious, and adventurous group of students to travel to Cambodia next winter break! Hello! My name is Haissa Toure and I am from Mali. I am a sophomore student at the University of Rochester; I am majoring in statistics and business. One of my passions is medicine and healthcare, but some background circumstances led me to pursue other career options. I am very excited to be part of the VAW community, I believe this new journey will be a good opportunity for me to explore the health field that I cannot study in school. In my free time, I volunteer at Easter Service Worker Association (ESWA) in Rochester, where I do office work; I also participate a lot in my volunteering club which is about spending time with kids and elderly people. Hello, my name Halimah Adebayo. I’m currently a pre-nursing student at Brandon University in Brandon, Manitoba. I aspire to go to medical school and specialize in gynecology. I have a fascination with the human body and I also love helping others, so when I heard about VAW I quickly signed up so I could do that. I love exercise, group hangouts, listening to music, running, writing and reading. 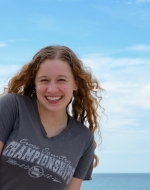 Hello, my name is Hannah Thompson and I am a sophomore at the University of Nebraska at Kearney. I am currently a pre-nursing major and will be applying to nursing schools in the fall! Traveling with VAW this past summer to the Dominican Republic opened my eyes to just how big of an impact VAW is making in the lives of patients and volunteers. Hey! 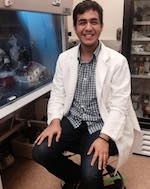 My name is Hatim Amiji, and I am a junior at Rice University studying Biochemistry and Cell Biology with the hopes of one day being a physician. I always had an inkling that I wanted to be a doctor some day but did not realize until after my first year in college, when I realized that for me, it was the greatest way I could make an impact on society. 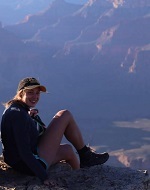 I have a passion for teaching, hiking, camping, mountain trekking, and reading. My favorite book is The Other Wes Moore: One Name, Two Fates, by Wes Moore, and I think everyone should give it a read. I am really looking forward to be a part of VAW again and take steps to understand health systems form a global perspective. Hi! My name is Husain Poonawala and I am a junior at Hofstra University. I am a Health Science major, along with Biochemistry and Psychology minors. I am a Pre-med student with the hopes of attending medical school. After volunteering at a local Cancer Research Center, I really began to understand the value of helping individuals in need, which is why I wanted to join the VAW team. I have volunteered at hospitals and local clinics to experience the medical field, but I hope to experience many new things when leading a team to around the world as we aim to improve global health. I am thrilled to work with VAW to give me this opportunity to help people in need while also learning so much about the medical field. Hello! 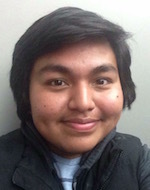 My name is Irvin Reyes and I’m a third year majoring in Human Biology at UCSC. I’m currently pursuing a career in medical surgery and love exploring and trying new things in my free time. I am excited to be a co-team leader this upcoming year and can’t wait learn about different cultures and informing myself and others of the different aspects of global health. I can’t wait to meet many more like-minded students and hope to continue the growth of the UCSC chapter. Hello! 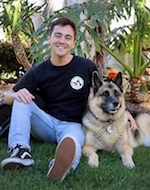 My name is Jack Melhorn and I currently the Team Leader for VAW’s first European chapter! I am currently studying Human Geography and Economics at Loughborough University in the UK. I’m most excited to get involved with VAW because my number one passion in life has always been traveling with a purpose. I had an extremely international background, living in six different countries before I was ten years old. However, joining an organisation like VAW allows you to travel, and help the world at the same time. It’s a win-win situation like no other! I could not be more excited to get our new chapter up and running! My name is Jaina Chu. 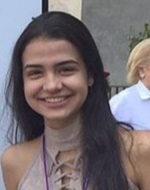 I am currently a sophomore at Brandeis University on the pre-med track majoring in Health: Science, Society, and Policy while also minoring in Hispanic Studies. My future academic plans include acquiring an MPH in epidemiology and an MD. In the future, I plan to work in impoverished communities to provide good quality of health. I became interested in VAW because of its focus on medical and dental outreach and this year I joined the Brandeis VAW. I am excited to bring the club presence onto campus and be able to engage with other communities. I look forward to establishing a strong volunteering presence not only in impoverished countries but also in the Waltham community. Good day VAW family, friends and on-lookers! 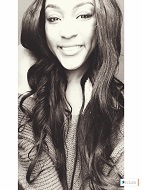 My name is Jasmine Sims and I am a junior at San Diego Christian College majoring in Biological Science: Pre-Medical. My goal is to be a missionary surgeon with a cardiothoracic specialty. I have a heart for people and a passion for medicine. I have been in the realm of medicine for a number of years as a Certified Nursing Assistant and a Certified Surgical Technologist, as well as in the sphere of global missions in four different countries outside the United States. My desire in working with Volunteers Around the World is to give students not just a hands on experience in medicine, but a firsthand experience in helping people in dire need who otherwise would be at a loss. I am super excited to be starting the first chapter of VAW at San Diego Christian College! Balance and diligence are going to be my focus in this endeavor for sure, and my hope is that it will be a long lasting legacy of service through medicine for students to come! 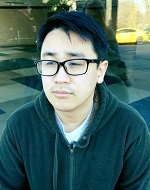 Hello, My name is Jay Veloso and I am a second year at the Fairfax, Virginia campus of George Mason University. I am a double major in Criminology and Nursing. I want to eventually get a certificate in Forensic Nursing and pursue that career in my future. My name is Jayden, I am a sophomore at San Francisco State University. I am a Biochemistry major and a heptathlete for the Women’s Track and Field team. I am very excited to join the VAW family and receive an unforgettable experience. I am looking forward to working with everyone and sharing my experiences with you all as well. Hi everyone! My name is Jessica Garcia, I am a senior at Stony Brook University and am double majoring in Biology and Business Management. After graduating, I plan on taking a gap year to continue working as an Emergency Medical Technician and further expand my exposure to medicine and healthcare before attending medical school. I look forward to having the opportunity to one day volunteer as a doctor internationally! Hi! 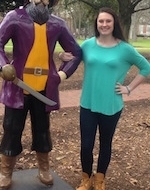 I’m Jessica, I’m a junior at Coastal Carolina in Jacksonville , NC. I also attended East Carolina University for two years. I’m studying nursing and hoping to do emergency medicine or pediatric oncology. I’m so excited to travel, see the world, and go out of my comfort zone. I’m looking forward to making a difference and volunteering my time and energy to improve the lives of others. Hi! My name is Joshua McPhie and I am a Biochemistry major at Brigham Young University where I am working to prepare myself to be a surgeon. 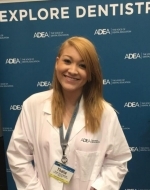 I am an EMT and work as a research assistant in the Biochemistry department where we study age-related diseases. I love rock climbing and racquetball. I am the youngest of nine children and was raised speaking both Spanish and English at home. I spent two years living in Ecuador and love the people of Latin America! I am excited to be a team leader and serve the people that I love so dearly. Hello! I am eager to continue the George Washington University VAW medical chapter. As a sophomore, I am on track to major in biology and minor in economics all while continuing the pre-med journey. I hope to learn more about how a student can contribute to the world through VAW. After I hopefully establish a career in medicine as an anesthesiologist, I am able to either open my own practice right in DC or travel the world with Doctors Without Borders or with a similar organization. However for now I plan on avidly volunteering with VAW as the chapter leader and as a team member throughout my college career. I have a lot of experience in volunteer work and look forward to implementing creative techniques for fundraising and spreading awareness about VAW’s cause so that as many students and volunteers as possible are able to participate in the trip. Growing up in the DC area, I always enjoyed volunteering for my community especially when distributing food and clothing to immigrants in my neighborhood, so I believe VAW will provide a broader perspective on how an individual like myself can make a meaningful difference in a bigger setting. Hey! 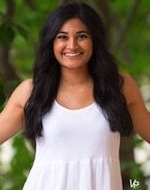 My name is Kajal Patel and I am a senior at the University of Georgia! I am a pre-med student majoring in International Affairs. After becoming a physician, I plan on traveling the world and helping people in underserved countries that don’t have access to or can’t afford proper healthcare in organizations just like VAW! I have always been interested by how aspects such as healthcare and foreign policies are so distinct around the world and how other countries and individuals can come together to make a change. Through Volunteers Around the World, I’m looking forward to getting more involved with global health issues and making a difference in a region of the world that needs it. It is so exciting to see extraordinary organizations like VAW growing and expanding and I am thrilled to be a part of it! Hi guys! 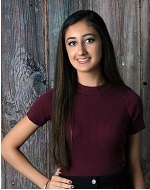 My name is Kara Yovanovich and I am currently a junior at the University of South Carolina. I’m an exercise science major, and my plan is to attend PA school when I graduate. I had my first experience with VAW in the summer of 2017 when I had the opportunity to travel to Albania on a medical outreach pilot trip. I was shocked to see how large of an impact VAW made on the city we worked in in such a short amount of time. I love being a part of VAW not only for the medical aspect of the organization, but also for the amazing people I got to meet and the places I got to explore. I am so excited to see VAW grow at USC and attend my next medical outreach program in summer 2018! Hey, my name is Katie. 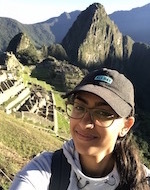 My first medical outreach VAW trip to Cusco, Peru was such an amazing, transformative experience for me that I decided that I wanted to become a leader and go on another. I was thrilled to be chosen as a leader for the winter trip of my senior undergrad year at Fordham University. 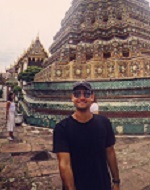 My co-leader and I decided to visit Cambodia for our medical outreach because it was out of our comfort zones culturally and we were very interested in learning more about the country and its community. 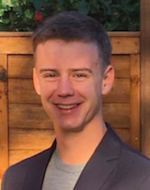 I am a General Science major student with minors in Economics and Computer Science, previously pre-med until shortly before becoming a leader, I decided to pursue a career outside the realms of medicine. However, I still have a passion for getting involved in other’s communities and culture, so medical outreach is always something I will love and enjoy. But that’s what makes VAW trips so surprising, as long as you have the right intentions, your background doesn’t make a difference. Outside of VAW, I enjoy all things art including painting, drawing, music, and literature! Hello everyone, my name is Ketty Monica Toussaint and I am a Premedical and Health Studies major at MCPHS University. I hope to attend medical school after I graduate. I am very excited to be a part of VAW and I can’t wait for the opportunities to come. Last summer, the University of Chicago conducted the first Medical Outreach Trip to Peru under VAW. Being part of the executive board during the first year proved challenging, but seeing the successful navigation of our trip and the lives impacted by our clinic days has provided great motivation for next year. Super excited! Hi! My name is Korbin Prince and I am a junior at the University of Alabama. I am currently pursuing a major in microbiology and plan to complete an MD/PhD program after I graduate. My first VAW trip was this past year to Guatemala, and I couldn’t be more thankful for the opportunity to plan our next trip to Peru! I’ve always loved the medical field, and getting the chance to gain first hand experience while also helping those in need seemed almost too good to be true. Volunteering has always been one of my passions, and being able to do so out of the country is such a fantastic outlet. I can’t wait to make even more unforgettable memories and meet incredible people on this next trip! I was born in Athens, Georgia and I attended private catholic School from kindergarten through twelfth grade. I played several sports in high school and eventually chose to play football in college. I attend Catawba College in Salisbury, North Carolina with hopes of attending medical school after graduation. I have been on mission trips to Haiti before and I believe it is somewhat of a calling for me. Im excited to be a part of the VAW team! Hi! 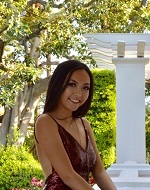 My name is Lily Akrapongpisak and I’m going into my third year at UC Berkeley with a major in Molecular and Cellular Biology with a concentration in Neurobiology, and a minor in French. After graduation, I’m hoping to attend medical school. My ultimate dream would be to eventually work for Doctors Without Borders. Hi! 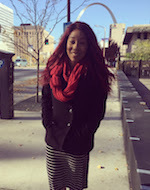 I’m Lizzy, a sophomore at Loyola University Chicago. I’m majoring in Biochemistry and hope to combine my interests in research & global health while working for a healthcare industry company. My past VAW trips to Cambodia and Peru have been filled with valuable experiences of knowledge and humility shared with incredibly driven and hard-working people, and I am so excited to be leading the next trip! Hello, my name is Mackenzie Nowland. 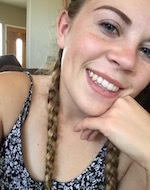 I am a Sophomore studying Kinesiology at Boise State University. I would like to attend Physical Therapy school once I graduate. My ultimate goal is to be a physical therapist for the military, working with soldiers who have been wounded in combat. I decided to join VAW to get some experience working in the medical field and I feel like this is an amazing organization with goals that align with mine. I want to spend my life giving back and helping out people who need it the most. Hi Everyone! My name is Madreya Burton and I’m currently a 2nd year post-baccalaureate student at CSU East Bay. I’m pre-med and I plan to apply to medical school in 2019. My future career goal entails becoming a pediatrician. I was a member of VAW Sacramento State in 2014. My first experience with VAW was truly amazing and I wanted to begin a chapter at CSU East Bay to share this experience with others. I’m so excited to co-lead a new team, to help others in need. 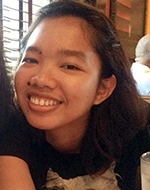 My name is Maggie Liang and I am a freshman attending California State University, Fullerton. After my undergrad and graduate studies, I plan on becoming a Pathologist to work with disease. Hi Everyone! My name is Marcy Overstreet and I am in the Post Bachelorette Program at Florida Atlantic University. I am studying Biological Sciences with an emphasis in Pre-Medicine. Afterward, I plan on pursuing medical school to became a Family Physician. As a first generation Haitian American, the work that VAW does to provide those in need is meaning for to me. Therefore, I am excited for the opportunity to establish and lead a new chapter at FAU and I look forward to our first medical outreach trip next summer 2019! I am passionate about medicine, making a difference in the lives of others, and cannot wait for the experience of serving those in need through VAW. 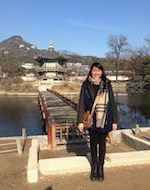 My name is Marina Zhang and I am in my second year at the University of Sydney. I am currently completing a double major in immunobiology and neuroscience. I have a strong interest in the development of healthcare throughout the world, and plan to pursue a career in medicine in the future. Hi! 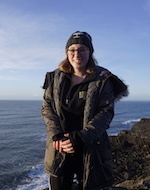 My name is Meagan Price, I am a second-year business and premed major at the University of Alaska Anchorage. The goal in life is to be a Neurologist. I love to travel and help people, and VAW is a fantastic way to do that! 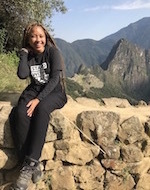 I traveled with VAW, specifically Augusta University, to Peru in June 2018. I have a passion for writing, Theatre and being outdoors! I was born and raised in Alaska, the most beautiful state! I look forward to sharing this amazing opportunity with you! Hello! 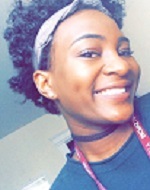 My name is Mikala Austin and I am a rising junior at Georgia State University. I am currently a Chemistry major with a PreMed/Biochemistry concentration. I hope in the future that I will go to Medical School and become a Pediatrician. I love to travel and learn about different cultures. Ever since I was three, I began to learn Spanish and my goal is to not only become a fluent Spanish speaker but an African American Medical professional who has a skill set that many do not. This past summer, I had the opportunity to volunteer in Albania with VAW and although I wanted to go to a Spanish speaking country, I enjoyed every single aspect of the trip, which is why I will be the co- team leader for Georgia State’s chapter for the summer of 2018! I look forward to these next couple of years as well as providing other students with same the opportunities to become future leaders and medical professionals. Hi! My name is Morgan and I am Junior at The University of Illinois at Urbana-Champaign. I am a Kinesiology major on a Pre-Physical Therapy track. I am honored to be the first Medical Outreach Team Leader on this campus. I look forward to helping create a strong foundation with my influential peers for Volunteers Around the World. Helping others while gaining experience is the most rewarding part of this position and I can’t wait to start! Hi! My name is Myla and I am a Junior at the University of California Riverside. I am majoring in Sociology and am in the progress of picking up Education as a minor. I love working with organizations that help to make a lasting impact in other countries. I have volunteered in places such as Nicaragua and Indonesia and I am so exited to have an opportunity to volunteer with VAW so that we can emphasize the importance of global health! Hi guys! My name is Nathalia Schettino. I am currently a sophomore at NYU studying Neural Science. I am very interested in a career as neurologist and I am super excited to be part of VAW. Hello! 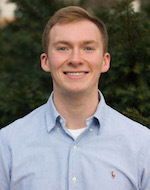 My name is Nathan Paull and I am a sophomore at the College of William and Mary. I am currently pursuing a degree in biology, but I am not yet certain what I would like to do after graduation. In my free time, I enjoy playing squash, shooting sporting clays, and hanging with my family, friends, and dogs. I went on the medical outreach trip to Peru with the University of Texas, and thoroughly enjoyed the experience. I am presently trying to spread this opportunity to William and Mary so my fellow classmates can share this amazing experience! 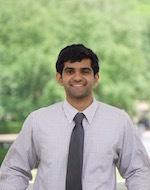 Hi, my name is Neil Garg and I am a junior Biology major life science alumni at the University of Maryland. I am on the Premed track and am excited to apply to Med school next year. In the past I have scribed at offices such as Montgomery Cardiology and Capital Integrative Health. I also recently acquired my EMT-B license and plan on riding for the college park station. This summer I headed the Volunteers around the World Maryland chapter as the clinical chair and site director. I was able to bring a team to the Dominican Republic and provide aid through clinics to locals. On campus I am involved in Greek life, diversity and inclusion, athletics, tutoring and much more. In my free time I enjoy reading, skateboarding, playing soccer, hammocking, and watching marvel movies. Hi! 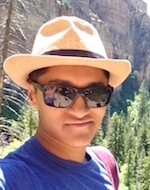 I’m Niruja Devkota and I’m currently a Junior majoring in Biochemistry and Sociology at CU Boulder. My future goal is to go towards medical field and help as many people as I can. I’m super passionate about helping people and that’s the main reason I got attracted to Volunteers Around the World. As one of the Team Leader for CU Boulder, I’m excited to work with VAW to leave a lasting impact by helping those in needs. Hey guys! My name is Priscilla Mejia and I am in my third year at Rutgers University majoring in biology. I hope to attend Medical School and become an Emergency Medicine/ Trauma Physician/ I volunteer as an EMT as well as work in an emergency department. I have a strong interest in health disparities and helping people obtain the care they need. I am excited to work with VAW bring health care to underserved communities. Hello!! 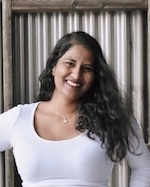 My name is Priya J Patel, and I am now in my senior year of college at Georgia State University. I am a Biology Pre-dental student, and have been Co-President of VAW’s Dental chapter at GSU for the past 2 years. Hello! My name is Raissa. I am a Sophomore at The City College of New York. I major in Psychology, and intend to attend medical school upon graduating. I’m honored to be the first ever Team Leader at City College, and cannot wait to lead my team on these exciting trips. When I am not studying or doing other school work, I like trying new things and allowing my adventurous mind to explore. 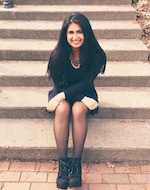 Hey, my name’s Ravdeep Gill and I am a first year student at the University of Virginia. I plan to major in Neuroscience with a health and well-being minor, with the ultimate goal of attending medical school! I am very excited to be the team leader and the chapter president for the very first VAW trip/chapter at UVA and I am looking forward to getting this organization up and running. I hope to learn as much as I can from this unparalleled medical outreach program, where I will be able to make a difference in others’ lives and learn more about medicine! Hello my name is Roman Sanchez-Martinez! I am currently a sophomore attending the University of Texas Rio Grande Valley as a biomedical science major with an emphasis in genetic and molecular basis of chronic diseases and with a minor in biological science. Working with Volunteers Around the World is a brand new experience for me and I am really excited to take on the challenge to travel to third world countries in order to provide medical support to those in need. Being a Mexican, I have lived through difficult situations due to limited resources therefore I am determined to give back to those who are currently living through harsh conditions. I am thrilled to work with this organization, and what it holds for the future! Sam Chih is a Junior at American University, who is majoring in Public Health and Psychology in hopes of getting a career in healthcare. 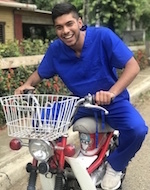 He became a Volunteers Around the World Medical Team Leader because he values service and philanthropy and believes that this is the best way to do his part and still pursue his goals service and in medicine. Sam hopes recruit members at American University that share the same passion for global health that he does. 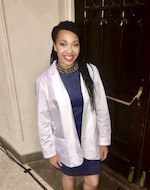 Greetings, My name is Samantha Jean-Guillaume and I am a current 2nd year Physician Assistant student from CUNY School of Medicine. My love for Global Health first began during my undergraduate years, when I went on my first medical mission trip with VAW in 2016. Since then, I knew that helping the underserved would easily become a passion of mine. My goal is to make a lasting impact on others – not only by tending to illness, but also by educating patients on preventative medicine. I am looking forward to working with VAW once again & cannot wait for the opportunities to come! Hi everyone! 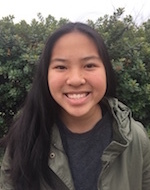 My name is Sami Kubota and I am currently a sophomore at the University of San Francisco majoring in nursing. Following graduation, I hope to work as an emergency medicine nurse and the dream after that is to work with an NPO or NGO to provide medical care to less fortunate countries. I am thrilled to have the opportunity to establish a chapter in San Francisco and form a group of like-minded individuals. I look forward to making many memories and a meaningful impact with VAW! Hi! 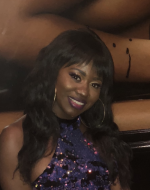 My name is Sangami and I am a sophomore at Vanderbilt University studying Medicine, Health, and Society & Human and Organizational Development. After graduating from Vanderbilt I hope to get an M.D and an M.B.A. to work on developing affordable and sustainable healthcare solutions in underprivileged areas around the world. I am very excited to work with VAW as Vanderbilt’s Team Leader! Sarah is a Senior at Hunter College. She is a nursing major expected to graduate May 2019. She hopes to specialize in women’s health and public health. Her passion to travel lead her to participate in her first VAW Medical Outreach Trip in January 2017. Since then Sarah has been a team leader for 2 Medical Outreach Trips. In working with VAW Sarah has been able to explore her passion for public health and find ways to best help communities. 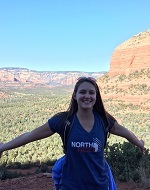 Sarah is a junior at Yale University, majoring in History of Art, while pursuing her studies alongside the pre-medicine track. She is from the suburbs of Long Island, New York. 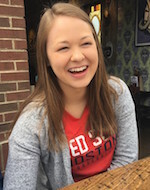 As of right now, she aspires to be a missionary pediatrician who travels the world to serve and heal others. Besides serving as a Team Leader for Volunteers Around the World, Sarah is also involved as a leader in her United Church of Westville campus ministry, President of CT Hospice Volunteers and a Missions Coordinator in Global Medical Missions Alliance (GMMA), and she is also involved in various research projects throughout the year. 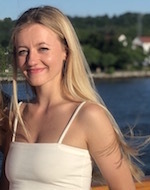 Hi, I’m Serena Maag a junior at Butler University. I am an English major with a Neuroscience minor on the pre-med track. My goal is to get a masters in Cellular and Integrative Physiology and to become an orthopedic surgeon. After my first missions trip with VAW, I was inspired to guide others in their own journey abroad. Being a volunteer for VAW has been a very rewarding process, and I believe that becoming a team leader will be just as rewarding! Hello my name is Shane Yoshiyama. I am a nursing student at the University of San Francisco. I was inspired to become a nurse after watching humanitarian aid workers provide relief after natural disasters in Haiti and Japan. 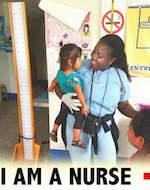 I hope to use my skills as a nurse to help those in need and develop infrastructure in at-risk areas. USF provides a strong platform for me to pursue my goals with its strong emphasis on social justice and advocacy. I am excited to learn, grow, and expand my horizons through VAW! Hi! 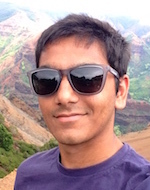 My name is Shrenik Gadagkar and I am a junior at the University of Pittsburgh! I am a pre-med student majoring in Psychology with a certificate in Conceptual Foundations of Medicine. After graduation, I plan on getting my Masters in Public Health before attending medical school to become an Emergency Medicine doctor. I’ve always had the dream of fusing my healthcare and study abroad interests together and with the help of VAW, I can not only achieve that for myself but also for students at Pitt. I’m starting this VAW chapter to show everyone what a great organization this is and with the hope that students, for years to come, will get to travel and be a part of this life-changing experience! My name is Simeon and I am third year student and I am majoring in EMS, in the premed track. I am very excited to bring VAW to my university; I am sure this experience will greatly benefit my career goals in life. Ciao. 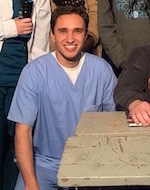 My name is Steven Gerry and I am a junior pre-medical student at the University of Southern California. I am majoring in Neuroscience with a double minor in Spanish and Entrepreneurship. 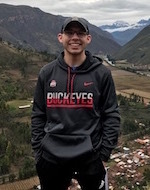 I am very excited to take over as our chapter’s new team leader, and am hopeful to plan very successful trips to both Peru and Thailand in the following year. I have organized and taken part in similar volunteer trips to both Guatemala and to Nicaragua in the past, and I have seen the impact that a short visit can make with the right equipment and a motivated team. As someone with a great interest in medicine, travel, and the study of different languages; I could not ask for a better program to facilitate the fusion of the three. Hi everyone! 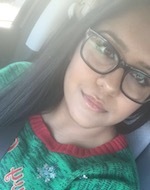 My name is Surbhi and I’m a Junior pre-med major at UCI! I am extremely passionate about medicine and helping those in need! My goal is to graduate and attend medical school to become a cardiovascular surgeon! My dream would be to serve those in need and travel the world! Hi! i’m Thalía Pérez a pre-dental student & president/ founder of the Pre-dental Student Association at the University of Puerto Rico in Humacao. After graduation I am planning to pursue dentistry and specialize in Orthodontics. I love to helping people and leading other students to become more involved in the dental community. In June 2017, I had the opportunity to go to Perú with the UNL VAW chapter. It was truly an amazing experience where I had the chance to give back to the community while learning alongside other dentists. I believe shadowing is very important and it serves as a reminder of what we’ll be able to achieve once we finish our dentistry study journey. I look forward to working with VAW and help bring more smiles around the world. Hello everyone! I am a freshman at the University of Washington-Seattle pursing a double major in Biology and Spanish, with a minor in Global Health. Volunteerism and travel have always been great passions of mine, and I hope to serve the global community through medicine. I am grateful for the opportunity to lead a new chapter of Volunteers Around the World at the UW. It is going to be an exciting year, and I cannot wait to share my passion and serve those in need with you! Howdy, my name is Tristan Lampkin and I am the LOUDEST and the PROUDEST member of the Fightin’ Texas Aggie Class of 2021! I am so exited to have started the VAW chapter at Texas A&M. We are going to accomplish so many great things over this next year and I can’t wait to hit the ground running. Hello, my name is Tinnikka A. Robertson-Jones, I currently serve as Assistant Professor at Hampton University in the School of Nursing. I have close to 15 years of experience in the healthcare field with a focus on acute/critical care, clinical practice, community health, education and research. I am Board Certified as an Adult Health Clinical Nurse Specialist. I continuously seek opportunities to serve. I love people, diversity and culture and helping anyone in need. It is rewarding to immerse in the culture of the communities VAW serves. I regularly serve locally by volunteering with community outreach programs; providing screening and education on health promotion and disease prevention. 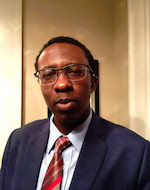 I have a personal interest and commitment towards underrepresented populations and health disparities; understanding that many chronic illnesses are inevitable, however if education, preventative health care and screening can lessen the prevalence, morbidity and mortality of vulnerable populations, it is a noteworthy cause. I had the pleasure of being a VAW Faculty Team Leader for a Hampton University team in the May 2017 to Guatemala and it was a life-changing experience for me that I didn’t want to end. I am so thankful to VAW for the global impact they are having and I am truly honored and thankful to continue support their mission and vision. I look forward to ongoing opportunities to serve and support the invaluable efforts and impact VAW continues to have on the world. Hi! 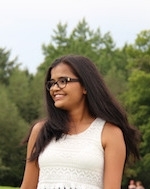 My name is Vidhi Gadhiya and I’m currently a senior, graduating in May 2018, at Michigan State University in the Lyman Briggs program. My major is Human Biology with a focus in pre-dentistry, hoping to one day accomplish my dreams of becoming a dentist. I have been a part of the Dental Outreach Trip to the Dominican Republic in May 2016. This trip was an unforgettable experience because I was honored to work with such motivating people and it not only solidified my dreams of becoming a dentist, but also allowed me to give back to the local community. Aside from school, I love to dance, travel, watch movies (especially Bollywood), meet new people, and give back to others. 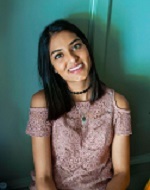 I am on a competitive travel dance team at my school known as MSURaaSparty, part of the Pre-Dental Club and Coalition of Indian Undergraduate Students, a choreographer for 3 years, and an E-Board member of Asha for Education. I am really excited and honored to be Team Leader of the VAW Hospital Internship and make a difference in peoples’ lives! 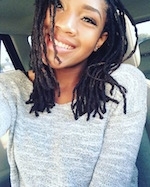 Hello my name is Xena and I am a Junior at UCLA majoring in psychobiology and minoring in Global Health. I am a pre-medical student and I hope to become a pediatric surgeon after my undergraduate career. I recently went on a VAW trip to Guatemala and had a life changing experience. I was able to do very hands-on medical work and learn from the doctors there. I am passionate about global health and working with underserved communities. I believe strongly in pre-medical and even medical students gaining exposure to the medical systems in other countries. Great doctors are humble and knowledgeable about global health and I believe VAW has sent me in the right direction. 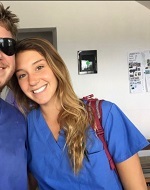 I want to recruit other pre-medical students to the medical missions because it is an amazing experience and exposure to medicine! I am a junior pre-med student at Augusta University and have been working very hard to put this club together on our campus. I have a huge passion for making a hands on difference in this world. This organization allows me to be able to travel and explore new countries as well as take a step into the profession that I want to be a part of. On the previous trip I led, I was able to truly connect with the patients. This is when I finally got the last bit of clarity that being a premed student was the right step to take. When I feel stressed out about classes and this track in general, I always look back at pictures from this previous trip and it gives me a reminder and a huge burst of motivation to keep my goals in mind.